I've clocked in 55 hours into the multiplayer so far and have had like 8 or 9 "DirectX" crashes, some that BSOD my system and seemingly semi-corrupt my driver and make me not want to even start the f***ing game again until it's patched. It is the strangest thing, I have never had a game do this before ever, I've had games that crashed but the crashes were repeatable and somewhat consistent and figuring out why was usually easy when going online, or games that were just straight up broken that lagged, stuttered, and crashed within minutes, but having put 55 hours into the game and it running great until out of nowhere BSODs and CTD's that sometimes happen within 10 minutes of eachother for no obvious reason and then the next day being able to play for 7 hours straight just fine is baffling. Last I played I got a solid bright red screen right after the game crashed and my PC auto-restarted itself and loaded up really weird with a lower resolution on the splash screen as if I had just installed a new GPU without drivers or something, I'm not letting this broken crap mess with my PC anymore until a new patch comes out or until drivers that specifically mention a fix come out, or if by some miracle someone finds an actual full-proof manual fix. This is absurd that this many people are having the same issue and it's like EA / DICE are trying to hide it, they aren't even acknowledging it officially as far as I am aware. What about the people that have these crashes but don't have any Realtek hardware? What are they supposed to do? Spoke to Soon joined game and crashed so scrap what i said! Makes sense. This one is hard to nail down since you can go for days sometimes without a single crash. The people who are doing this are playing in map rotations that skip over safe maps and significantly reduce their chances of crashing. If you purposely hunt for the problem maps you can make yourself crash within a couple rounds. Im running that driver on my RX 480 8gb and I never crash. What maps are problem maps? I've crashed on nearly all of them I think: Ballroom, forest, Scar, suez, monte, fortress, aimes, etc. I think the desert beta map might be the only one I haven't crashed on. God I hate AMD driver naming system, I have the latest drivers but the number is different, also on 480 8gb, do you have the simpler driver name? Or is it some beta driver and I'm just dumb and didn't know they were listed looking like that because I can't find that driver..
i run the game maxed with just my gtx 770, only map i crash on is monte grappa ! Me too, but it's a good thing they're here to keep Intel and Nvidia's prices in check. I have been experiencing crashes on all maps, couldn't play for more than 2 minutes without the game crashing with the DX error everyone is talking about. I turned off my SLI, (I have 2x 580s) and game is now working...Played for over 2 hours and no issues so far (knock on wood). 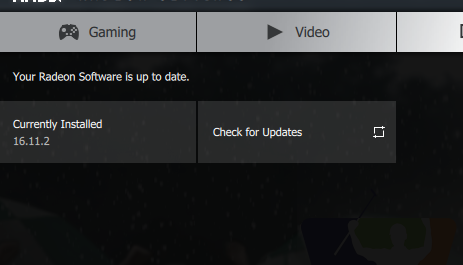 For those with SLI and having problems, you might want to give it try. Good Luck! I can "run"(when it's not crashing) it at 60 constantly with high, not ultra on reference gtx 770, 4690k, and only 8gb ram. Are you still gonna say that it's not DRIVERS problem but ENGINE problem? (...) sometimes happen within 10 minutes of eachother for no obvious reason and then the next day being able to play for 7 hours straight just fine is baffling. Last time i played it for about 3-4 hours..ending with a crash resulting in a complete shut down of my win7 pc. Normally it shows that anyoing directX error, but sometimes the whole pc is rebooting or just shuts off. Which reminds me to check the temperature of the gpu and cpu (also set my fan on high speed manually & set a lower gpu clock) but everything seems fine. also, no problems with other actual games. There is also a huge thread on the nvidia forum about this...anyway, we only can wait until they tested it. And it could take even more time if it is not just a nvidia problem.. This is litteraly the last game I buy form EA. Still no words coming from my support ticket. Great support. Can't even ask for a refund. 2016 and this kind of thing can still happen ? No way.... I'm sick of all this. This is just stupid. It's a bit like buying a brand new car with lug nuts that are barely tightened, yes you may be able to drive down the road for a while, but eventually you're gonna crash at some point, you just don't know when.